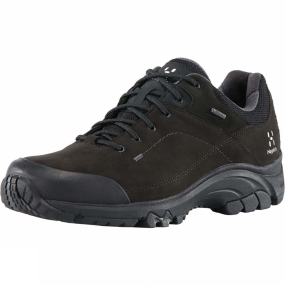 The Mens Ridge GT Shoe from Haglof provides an outstanding grip on any terrain, with reinforced rubber toes and heels for added protection and high-grip rubber on the sole anchoring your footing. A series of innovative tweaks give a really comfortable and responsive stride. Premium materials make it waterproof, breathable, long-lasting and solid.